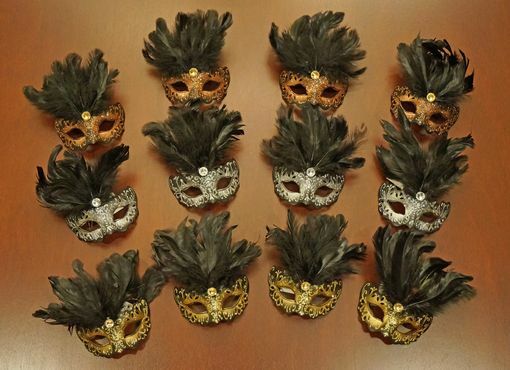 This set of petite masquerade masks are hand painted and glittered. Mask set comes with Twelve assorted masks. Great for party favors and weddings. Mask size 2 1/2"W x 4"H.